Most homeowners love hardwood, but no one loves high maintenance or high price tags. Flooring America of Western North Carolina has a floor that can give you the best qualities of wood without the worst: our luxury vinyl plank flooring in Hendersonville, NC. This material mimics the feel and look of stone, offering the same timelessness with high performance and 100% moisture resistance. We’re proud to provide an affordable and durable floor that you can count on having for more than 20 years. There’s no shortage of artistic opportunities when you shop with us. Luxury vinyl plank provides plenty of design and installation possibilities because it comes in a variety of finishes and stains. Regardless of what it looks like, you can be assured that it will offer you resilience and style. Your resale value may increase, your home can reflect décor preferences, and you can enjoy walking and standing on a softer surface. Luxury vinyl plank flooring is much easier on the feet than other types, and this can come in handy when you’re cooking for hours in the kitchen. The softness is the only giveaway that the floor is vinyl and not the real thing; otherwise, it looks the same. Initial installation is crucial to the wellbeing of any floor and is possibly the most vital investment you can make in yours. We perform luxury vinyl plank flooring installation for every client who buys their floor from us, taking extra care to assure perfect placement for a long life with few or no repairs needed. Our installers have the skills to place your new floor over all kinds of surfaces such as cement, granite, tile, and laminate. 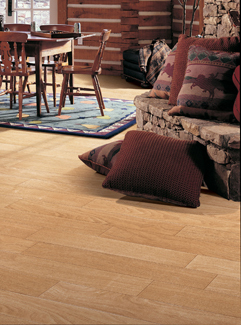 Their experience and attention to detail make all the difference in how your floor holds up. Get in touch with us today, and we’ll schedule your installation at a convenient time for you. Contact us to start shopping for your home’s new look. We work with residents of Hendersonville, Asheville, South Asheville, Brevard, and Tryon, North Carolina, and the nearby communities.